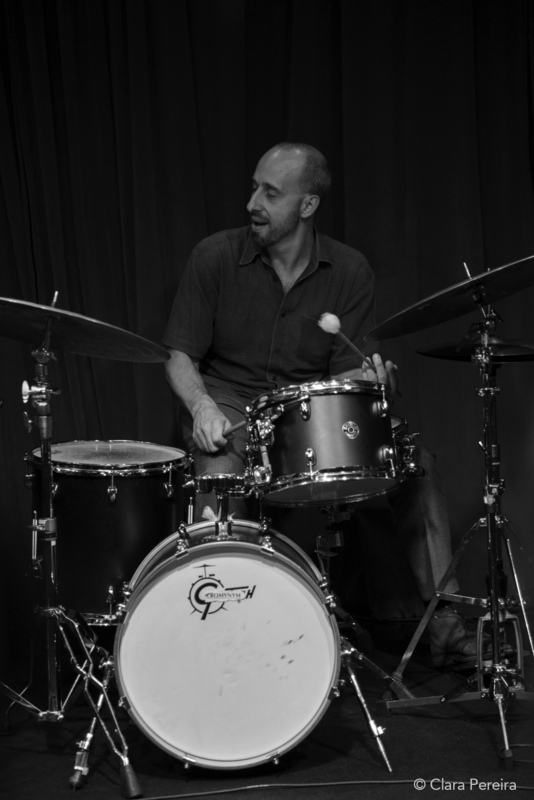 On Friday, September 21, JazzTrail headed to The Stone, where drummer/composer Harris Eisenstadt had his weeklong concert residency, gathering different formations to explore many soundscape possibilities. Naturally leaning on the avant side of the jazz spectrum, Eisenstadt was accompanied by bassoonist Sara Schoenbeck, tuba player Dan Peck, and the influential electronics artisan and laptop improviser Ikue Mori. The concert consisted of five original pieces penned last summer as segments of a 50-part composition project for mixed ensembles entitled Poschiavo 50. Fulfilling their roles with a privileged sense of collectiveness, the quartet built a mix of fragile and strapping scenarios, sometimes surrounding us with mysterious futuristic ambiances that never felt antagonistic. Astonishing with some long, beautiful multiphonics, Schoenbeck was more adventurous than Peck, whose primary focus was drawing dark, resonating notes that seemed to erupt from the lowest depths of the earth. They embarked on stately unisons many times and contributed to the interesting textural compounds envisioned by Eisenstadt, whose rhythmic vocabulary is fluid, either operating with brushes, drumsticks, mallets, or his bare hands. Mori's sound effects, always surprising and tasteful, were perfectly integrated to form a whole with a strong identity. The audience reacted with satisfaction and the quartet demonstrated an admirable chemistry.